This is the first in a series of instructional posts intended to help home cooks with unfamiliar grocery items. 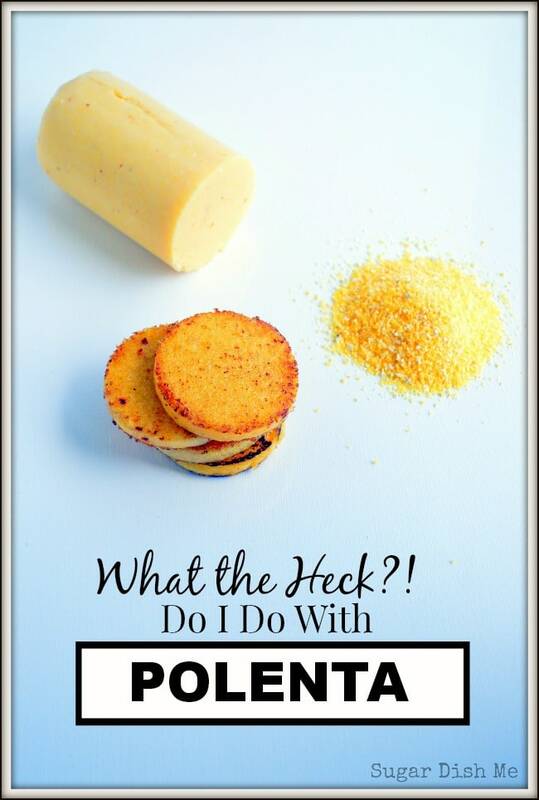 What the Heck Do I Do With Polenta is a how-to post full of cooking instructions, recipe ideas, and serving suggestions for polenta. Simple cooking with simple ingredients and lots of inspiration! Do you ever walk past something in the grocery store over and over and over again, and wonder what it is or what you should do with it? I do it all the time, and while I think I spend more time in the grocery store than most, I know it’s a common thing because people ask me crazy questions All. The. Time. I bought bok choy the other day and the boy at the cash register asked me if you could cook the leaves? Or just the stalk? Whenever I grab a bunch of cilantro at the farmer’s market someone will stop me and ask what kinds of foods you can put cilantro in? And then there’s quinoa. I get questions every time I buy quinoa. What I gather from all the food questions from perfect strangers is that people are curious about food. And lots of people like to try new things but have no idea what the heck to do with it. But also those people don’t have all day to buy said food and come up with franken-concoctions that taste good. So they just keep walking past quinoa and cilantro and bok choy, and they never really figure it out. 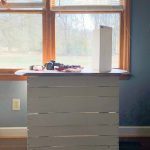 I decided it would be really fun to make a series of reference posts for ingredients that are easy to use and are totally delicious, but might not be familiar for you. 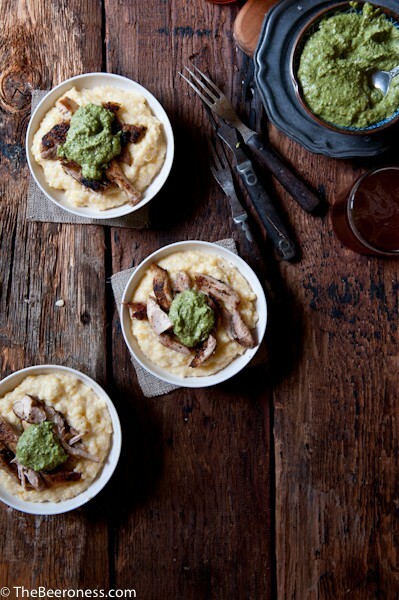 If you aren’t sure what the heck polenta is, then I’ll tell you it’s basically fancied up cornmeal. 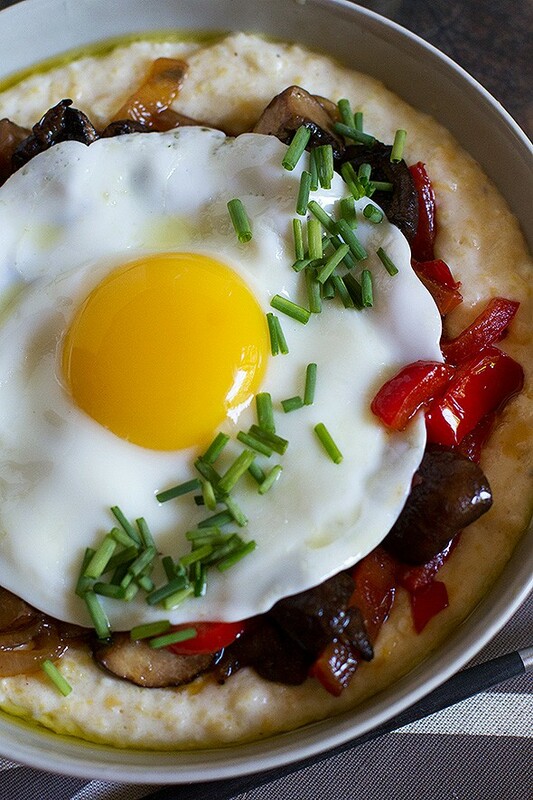 It gets referred to as “Italian grits”, but it is soooooo much more than that. I live in the south where grits are a thing. But no one serves fried grits. And no one uses grits as a pie crust. Polenta is probably the most versatile ingredient I have in my kitchen and it is completely easy to prepare. You can serve it almost like mashed potatoes – all creamy with butter and cheese like the photo above. You can also prepare it as shown here – crisped up in butter and then topped with marinara sauce and cheese or salsa and sour cream. 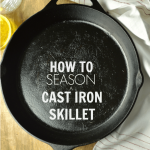 Polenta can be bought dry (Bob’s Red Mill is my favorite <<– just my personal recommendation, NOT an affiliate link — AND Bob has a video for basic preparation!) and then cooked OR it can be found already hydrated and in these little log shapes, often in the produce section, or wherever you store keeps the tofu. 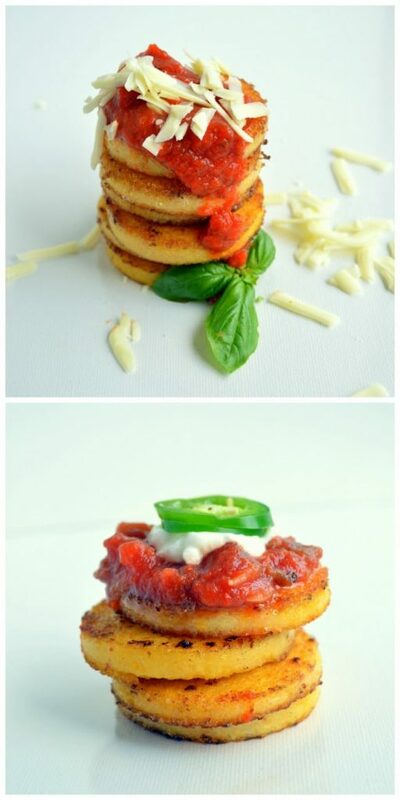 I used the prepared polenta for these fun little stacks here. 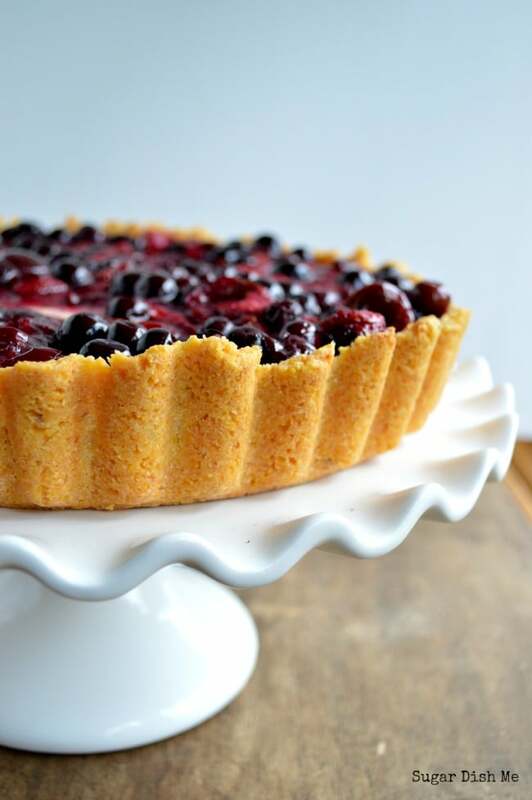 I used dried polenta for the crust of this Cherry Berry Cream Cheese Pie. 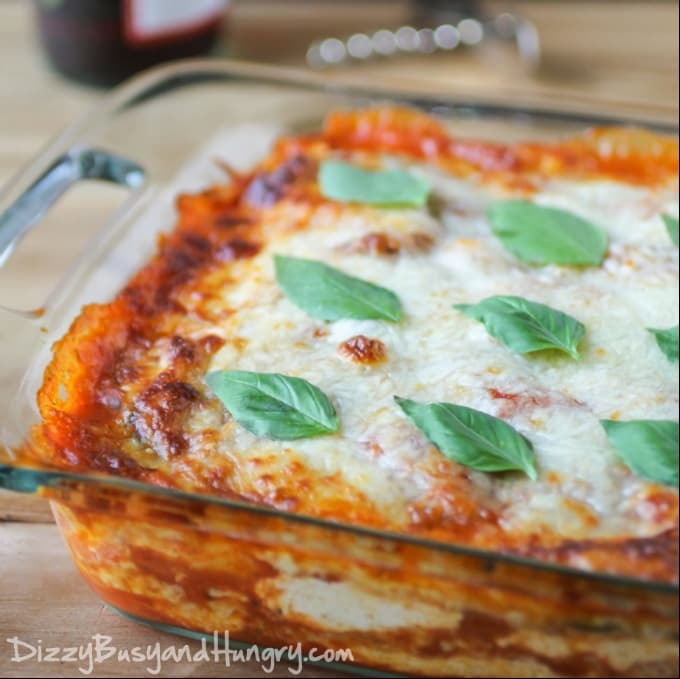 And when you get more comfortable with the basics, you can make things like this lasagna! 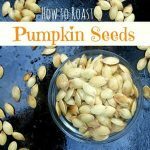 I love this ingredient – as a side dish, as a building block for a meal, as pie crust! Or you could add beer. Is this food looking fancy to you? I super promise it’s not fancy. But it feeeeeels fancy. Which is another cool thing about polenta. See, I checked all these recipes. I made sure they were simple enough for any home cook. So now you can be all, “Yes, tonight we will be serving Creamy Polenta with Melted Peppers and Mushrooms,” while you are actually just loafing on the couch watching another episode of The Real Housewives of New Jersey because that fake fancy meal will only take you 30 hands-on minutes. That is a great little tip (with the frozen orange juice tube)! Thank you so much Maria! It sounds delicious!!! Oooh! Thanks for all the yummy suggestions! Heather! I LOVE this post! I love polenta, but I usually just end up making a soft polenta, then make little polenta cakes with any leftovers. These are some awesome idea! Those fries are calling my name. Thanks for sharing the link…you’re the best! Heather, you are awesome! 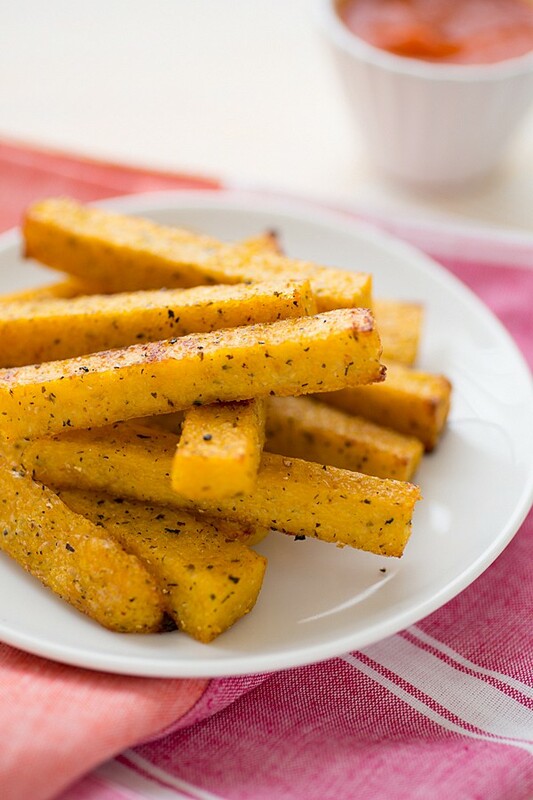 I love that you see a need (food curiosity) and are helping polenta-clueless folks like myself 🙂 All of these ideas look amazing, though I am particularly loving the idea of polenta fries. First off, thank you for the feature! And secondly, I am in love with all the recipes here! 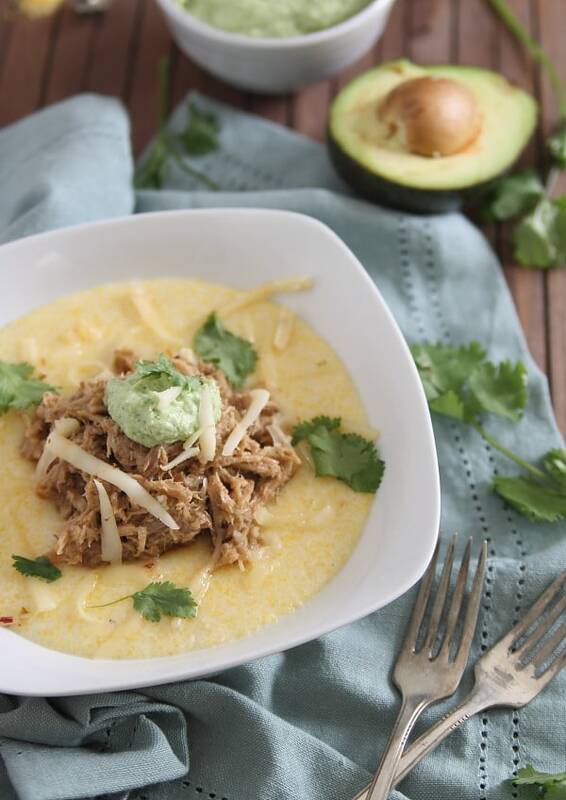 I have grown to love polenta over the past year and you have just kicked up my craving for it!!! Pinned! I recently made polenta for the first time and I do have to tell you, I felt pretty fancy too. Loving all of your recipe ideas for it! I love it just grilled with syrup and powdered sugar on it. I have never tried it that way, Nancy! Totally doing that! It’s all about the cheese! Thanks Julia! mom used fresh pork rinds that we baked off in the oven ~ she would let us kids brake some up in cornmeal and pork broth. after cooling over night in a bread pan, she would slice and fry in the lard. my dad put syrup on his but the kids ate them out of hand. Oh I like you. I was just looking for a new idea for polenta for dinner tonight – but your writing voice is great. You’re funny and smart. So I subscribed. I do love to cook – though I try to cook much leaner meals than I think you’re maybe known for ? LOL – BUT your writing voice is fabulous – and I want to hear more of it. Thanks! Hi Natasha! That is so nice!!! Thank you! I am so glad you subscribed! 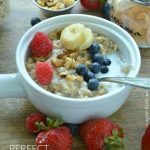 You may be surprised to know that some of my MOST popular recipes are lightened up comfort foods. These Buffalo Chicken Lettuce Wraps have been #1 on this site since 2014. My Healthy Pumpkin Banana Bread is also in the top ten! If you are looking for some recipes to work in that fit on the lighter side I can definitely send you some links — just let me know! I also just put together a series of recipes set to publish in 2016 that are majorly lightened up as well as heart healthy. I won’t lie — I do love butter and brownies. But I think there’s a pretty good balance. Super happy to have you!